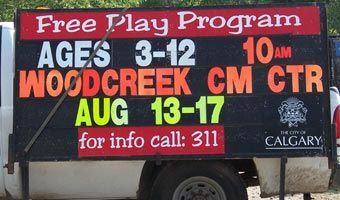 The ability to provide business, community and events with a large variety of signage in and around Calgary has made Bold Signs & Graphics the one-stop solution for custom signs. To ensure that your sign is the highest quality, Bold Signs employs only experienced professional designers, manufacturers and installers. Bold Signs collectively has over 100 years of experience, allowing us to create the best results in both temporary and permanent signage. 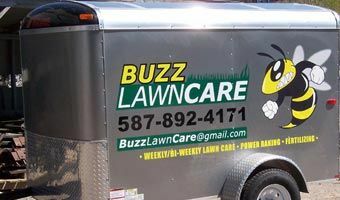 The importance of effective advertising is invaluable to the success of your business or community event. In order to achieve your goals, your method and message must be distinct. 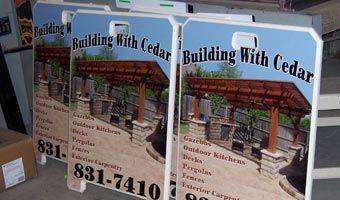 Bold Signs specializes in creating eye-catching signage. We’ve helped a wide variety of organizations throughout the years. 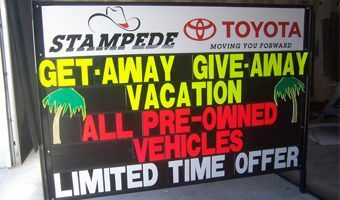 If you have evaluated your temporary signage needs and determined that the cost of ownership is less expensive than renting, Bold Signs offers stock and custom frames for sale. Our graphics department can produce any style of letter or character that you desire. The low cost and high visibility of temporary signs provides incomparable value and return in comparison to other advertising mediums. Get in touch with us to find out more. If you require clear, successful, and cost-effective signage for your vehicle, Bold Signs can produce customized graphics to catch a potential customer’s eye. Our graphics team will determine the best way to advertise your business or product by achieving the proper balance between style and information. Expose your product to a wide array of customers in and around your community. Bolster your message or support your candidate with a durable, highly-effective product. Community-related organizations as well as public notice groups have relied on the tremendous results accomplished by the use of our temporary signs. Not sure where to begin? We can help. Our professional looking signs can successfully communicate a message or warning with clarity by using both images and text. 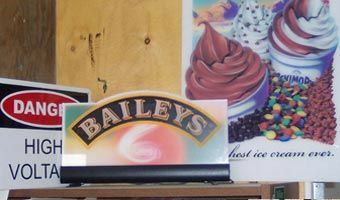 Whether you require an informative notice, or a snap-shot of your restaurant’s most popular dish, Bold Signs can help you create the most effective presentation. Let us help you stand out from the competition. View our work and then request a quote for our products or services. We’re always glad to help.